Where appropriate, when products are received they should be sorted to allow them to be used on an oldest-product-first-out basis. This is particularly important for those products with a short shelf life such as platelets or thawed FFP, or when receiving products that may have been transferred to you from another health provider. There are some special clinical circumstances where it may not be appropriate to use the oldest blood first (e.g Neonatal exchange transfusions). Hospitals should have a policy that describes the limited clinical situations where use of the oldest blood first may not be appropriate. If you believe product may be stored for an extended period of time with a lower likelihood of being used, for example reserve emergency stock in a remote location within your facility, it may be better to choose fresher product but rotate it more regularly back into general inventory, to enable it to be used before expiry. Product should have adequate shelf life left before expiry when moved from reserved or remote locations back to general inventory. You should have documented arrangements for ensuring this occurs on a regular basis. Options to consider if product is getting close to expiry might include transferring to another hospital or laboratory, rotating segregated inventories where possible and highlighting to others that product is soon to expire. 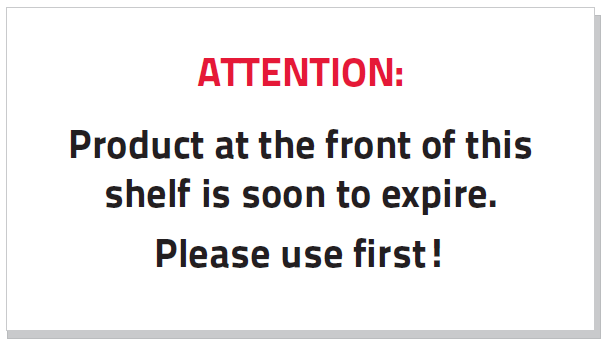 One example may be to make up a sign for the fridge that clearly identifies stock with short expiry, enabling it to be the first selected for issue. You should avoid reserving product, by crossmatch or otherwise, for a specific patient where the likelihood of use is uncertain. Each time blood and blood products are reserved for a patient, this product is effectively removed from ‘available’ inventory. This can create an artificial shortage and can cause unnecessary replacement orders. 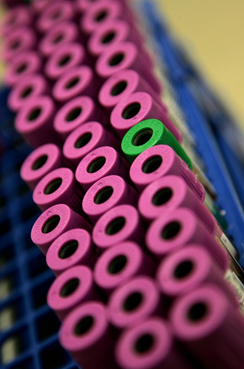 Where possible your laboratory should consider Electronic Crossmatching procedures. These procedures work well with Group and Screen policies, helping to maximise product in available inventory. 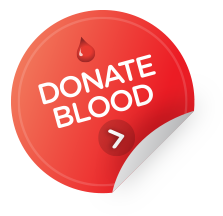 Where blood and blood products have been reserved for specific patients, consider short reservation periods to enable product to be moved back to general inventory if not used.